What are your customers saying about your brand? As quickly as you developed your brand identity, you can lose control of it. Here are five signs you’ve lost brand control—and what you can do to get it back. If your brand is what other people say about you when you’re not in the room—and they’re saying bad things—it’s a sign you’ve lost control of your brand image. How did it get to this point? Here are a couple of ways it typically happens. If you treat your customers poorly, you’re on a fast track to brand disaster. More than half of Americans have decided against making a planned purchase because of a bad customer service experience. U.S. companies report losses over $62 billion each year because of poor customer service. If you make it too difficult for someone to do business with you, almost three-quarters of those people are likely to find another brand. There are, unfortunately, a large number of high-profile examples. Here are a couple. Sprint is a well-known telecommunications company, but their perceived lackluster service habits are a detriment to their brand image. Not only do they rank behind all their competitors in speed and data, but almost half their customers said they’ve had a bad experience with them. That means there are lots of problems (from technical to billing to customer service). Sprint’s having a difficult time solving those problems, which makes the situation even worse. United Airlines has become infamous for their alleged poor customer service habits. It didn’t help when a negative video went viral. Smartphones captured a randomly selected passenger being forcibly dragged from his seat on an overbooked flight. The other passengers were outraged and United’s response—deemed as dismissive and uncaring—added fuel to the fire. As a result, the airline’s market value decreased by $1 billion. They’ve tried to make up for it since, but they still rank near the bottom in customer service among airlines. If your business participates in shady dealings—or you’re suspected of such behavior—it won’t be long before you have a tarnished reputation. In turn, you’ll lose brand control. Facebook is the most popular of the social media and social networking companies, but their brand image took a hit when they were investigated for serving up volatile fake ads and news. They admitted to accepting about $100,000 for ads connected to almost 500 phony pages. Allegedly, many of these ads appeared to try to divide political and social groups. CEO Mark Zuckerberg said he would make it far more difficult for this to happen in the future, but Facebook continues to rank well below average in customer satisfaction. Market research firm SimilarWeb released a study that showed Facebook’s traffic as half of what it was in 2016. The insurance industry is not a place where you’d first look for great customer satisfaction examples, but global health service company Cigna ranks at the bottom. In a Zogby Analytics poll, 34% of their customers polled reported a negative customer service experience. Allegations of fraud all but ruined their brand image. Multiple lawsuits arose from artificially inflated medical costs that allegedly forced customers to pay up to 10x more than they should’ve. Many of Cigna’s own employees turned to Glassdoor to vent their frustration with working for the company. Admit the mistake and make it right. Don’t wait for public opinion to snowball into a huge mess. Issue a statement as quickly as possible and detail how you’ll keep it from happening again. Use empathy. You’re dealing with humans. Avoid legalese and corporate jargon. Show that you care. Be prepared. Develop a response in advance so if it happens again, you’ll be ready to deal with it. Then develop a customer service plan that always puts the customer first. Practice clear communications with them and always use positive language. Respond quickly and show concern. Send them a handwritten note to demonstrate how much you appreciate their business. Go above and beyond to make them happy and you’ll likely create a customer for life. Your latest ad campaign features a new slogan and imagery for your current winter sales event. A lot of thought went into the verbiage and images. The message is clever and clear, and most of all, it will impact sales across all your channels. The new marketing materials need to be placed in all your locations—today. Last week, you sent an email to all your local marketers letting them know about the new campaign. The problem is, some locations have the materials in place, some don’t. That means part of your customer base will see the campaign’s proper marketing materials at their location, others will not. That’s a problem for your brand identity, especially if you’re running a nationally recognized campaign. In this example, some of your local marketers have gone rogue. They have outdated campaigns in their stores, they developed their own unauthorized marketing materials, and/or a mix of both. This is a sure sign you’ve lost control of your brand image. What to do about it: Rely on a Brand Marketing Center that includes reporting software that shows if local marketers downloaded or ordered the latest marketing materials. This way, you can keep track of who has taken the time to comply with your latest materials and who hasn’t. Also, consider a brand compliance review to make sure everyone is on board with your requirements. Brand managers try to control the perception of their brand, but social media has taken away some of that authority. Consumers have more control than you’d like them to have. All they have to do is get on Facebook, Twitter, Instagram, or YouTube and take charge of public discussions about your brand. If your brand has been overrun by negative social media posts, you may have lost control of your brand image. Take the case of Snapchat. Their stock lost $1.3 billion when socialite Kylie Jenner tweeted that she didn’t like their new app design. All it took was her 71 characters to create turmoil for the popular messaging app. As it turns out, many of Snapchat’s patrons agreed, causing a decline of three-million users. Here’s another example. When Coke “super fans” set up unofficial brand pages on Facebook, it caused the soft drink giant to admit they lost control of their brand narrative, according to former CMO Jonathan Mildenhall. It also forced them to rethink their approach to consumer engagement. That’s where Airbnb thrives. They’re considered one of the best when it comes to community interaction. Their use of social media and its influencers is becoming legendary. Aside from picking up the tab for big-name celebs at elite locations, they also host events and invite influential journalists, bloggers, podcasters, YouTubers, and social media stars. Of course, they’ve also worked hard to build a trusting community that encourages regular communication along with detailed profiles and strong reviews. Airbnb has transformed their business from a brand into a lifestyle. It creates an experience that many users say surpasses a hotel stay. According to a Columbia Business School article, brand managers shouldn’t try to control every aspect of their brand. A collection of channels and stakeholders have replaced the traditional methods of marketing. You (the marketer) no longer have complete brand control. You may have employees, partners, influencers, and super fans chiming in. Each of the audiences they represent is different. Each one has contrasting needs and each one affords varied opportunities. In a Virgin.com article, Tim Leberecht, former CMO for Frog Design Inc. and the architectural firm NBBJ, said losing control is good for your brand. It gives power to an audience that will respond well to a feeling of co-ownership. What to do about it: Consumers will be part of your brand narrative whether you like it or not. The best course of action is to develop a new platform for participation. A modern-day marketer’s role is to work hard to influence where the narrative takes place and what’s promoted. Then reach into the community to inspire and amplify the messages. If you can do these things, your brand will be in good shape. So your email inbox is full. Join the crowd. But if it’s full of requests from distributed marketers or franchisees, you could have a problem. Are they looking for the latest brand guidelines? Maybe they need an image they can use for store signage. These are both signals you’ve lost control of your brand image. Managing your brand’s collateral can be a painstaking and time-consuming operation. 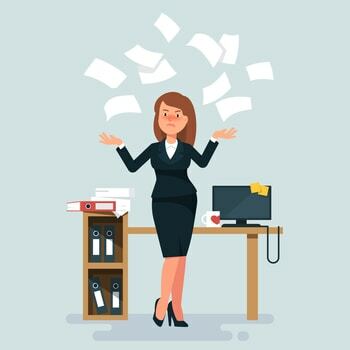 When your distributed marketers are spending their time asking you for marketing materials, it’s negatively affecting their productivity. If their frustration continues to grow, they’re more likely to take matters into their own hands. That’s when they start going against brand guidelines by creating their own marketing materials, without proper usage instructions. After all, it’s too much work to abide by them. The same is true for your productivity levels. When you’re responding to requests for marketing materials, it’s taking away from the time you could be spending on more important tasks. Not only do you have to respond to email requests, but you may also have to hunt for the items they’re requesting. The more this continues, the more your frustration grows. Before you know it, the whole process has spiraled out of control. What to do about it: A dedicated Brand Marketing Center allows you to bypass the tedious work of endless emails. You’ll enjoy the benefits of an online portal where authorized users can find your latest brand marketing information and resources. Select the electronic files you need to host—like branding guidelines, media plans, digital assets, email signatures, and much more. This software provides cloud-based access in an instant and all but eliminates your need to respond to email requests. Did you know your brand image affects your bottom line? Without proper brand control, you’re risking the success of your entire organization. Here are some of the ways weak branding can negatively affect your sales. When you fail to deliver on your brand’s promise, and you do so consistently over time, consumers will relate to your brand negatively. This includes your customer service efforts, core values, the quality of your products, packaging, and more. Let’s say you’ve neglected your customer service efforts. You haven’t trained your employees properly. There hasn’t been an emphasis on quality interaction with your customers. Maybe you’re more concerned with how fast you can process a customer service request or get an order out the door. Timeliness is important, but not at the expense of a quality, caring conversation—via phone, email, or chat. This affects your brand image. The same is true for your product’s quality. If you don’t pay attention to the details, including the way you present your product, it can have a negative effect on your brand identity. You need to develop and maintain a consistent brand image throughout every interaction a consumer has with your brand. Without this, it will be difficult to be recognizable. Sure, brands like Apple, Pepsi, and Nike have logos that are immediately identifiable. But they did a lot of things right over a long period of time to achieve that status. It’s about more than a visual association. How reliable is your brand? What kind of quality do you offer? How long does it take to get your product to the buyer? These are all recognizable elements that make a brand successful—or not. Wouldn’t you rather be recognized as the brand that makes a great product and goes the extra mile for their customers? How do people perceive your brand? What impression are you making? From business cards, to your website, to the way your local store’s employees dress, it all matters. Let’s say you have a franchise with locations around the country. What kind of message are you sending if each location’s marketing materials don’t conform to your brand guidelines? Maybe you have a variety of business cards floating around. You might have a clear cause of this dilemma. Perhaps it’s because your brand is set up to fail. You don’t have a process in place for properly managing your brand. As a result, you’re far more likely to make a bad impression. And bad impressions lead to decreased sales. 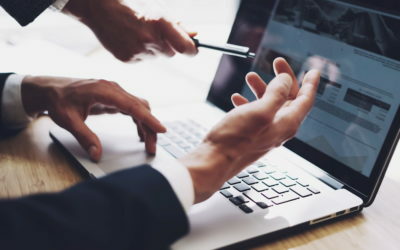 What to do about it: Customizable marketing templates can help you take control of your brand image, resulting in a better bottom line for your organization. When you have customizable marketing templates, you provide more control to authorized users. This motivates and empowers them. At the same time, you’re keeping your brand consistent. Local users can add the relevant copy to brand-designed and -approved collateral while you prevent the unauthorized creation of marketing materials that don’t conform to your brand guidelines. If these scenarios seemed a little too familiar, your brand conteol might be under threat. We can help. 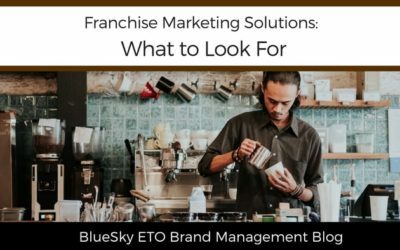 BlueSky ETO provides brand management tools that are engineered to order for your business. We’ll build your software specifically for your brand’s needs. This is not a cookie-cutter brand management solution, because your brand is unique. Let’s work together to develop a solution that complies with your current systems. We’ll ask you the important questions that will help us create a customized, scalable brand management system for your organization. Contact us to schedule a free brand consultation for your business. Lost Control of Your Brand? Get it Back Here! 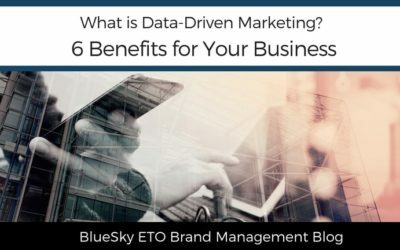 BlueSky ETO has your Brand Management Solution. Your brand identity is more than a logo or visual identification. Have you lost brand control? Here's how to find out and what to do. These are very useful tips and will be helpful anyone maintaining an online business. Thanks for sharing. There are so much to learn from this post. For people in online businesses, knowing how to keep an excellent brand name and its reputation is everything. Your tips are very useful! The brand image is the key to success and it’s not always easy to stay in the perfect image ! These are some really good points for self reazlization- which some brands may struggle with. I like how you have written the article. Very well written. very useful tips! Brand image is a key to running a fine brand, to make people lean to it and be 100% sure in it. It is super important. Your tips to win back is very calming and complete. Great red, love all the tips. Defo some things to be aware of and look out for – thanks! Great read. Really great tips on how to put our brand in check. A lot of brands has been shut down because of one of the reasons stated here. Great post the information you shared is exstrmely pertinent for the journey to succes.The most important from my experience is the maker or breaker of productivity Customer Service! It’s easy to lose track once things get flowing. You kind of go down rabbit holes. It’s important to stay on track though! I am all for customer service and when it’s not right, I am put off pretty quickly. This is an important reminder. I know for me, if a business has poor customer service, I won’t return. I have to admit, I am really proud of my brand identity and how much I have built it up to what it is. People know me as the food girl. The girl who loves salmon. The girl who is blunt and honest and open. And I love it! So much to learn and know when it comes to being successful. I need to try some of this tips for my brand. These are some great things to keep an eye on to make sure your brand image is coming across in just the way you want it to be. Always putting the customer first and admitting when you are in the wrong are solid strategies for cleaning up your brand image.